And best of all Heat, which I told you about way back in 2008. I'm surprised more places don't do this. 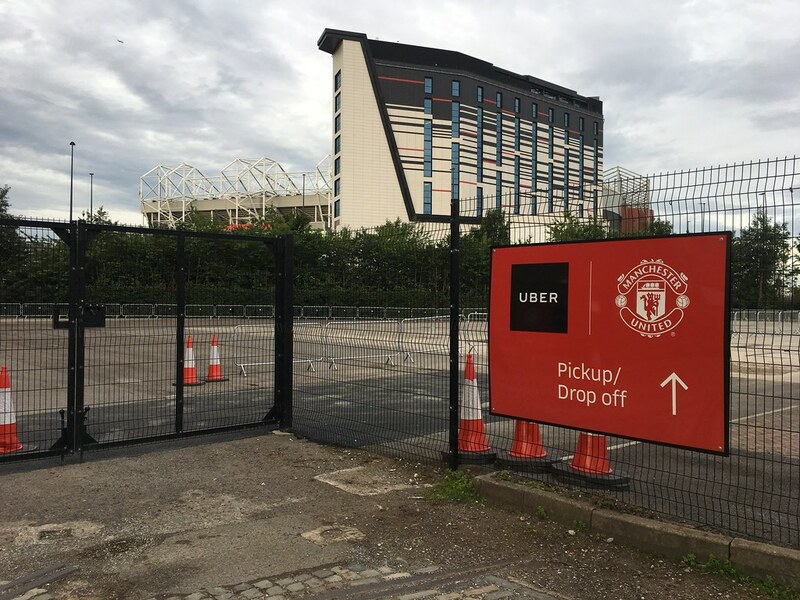 There is such a proliferation of Uber drivers now particularly when things like football matches or gigs end. Airports would be another example. I wonder if any new build offices or shopping centres are planning for things like this. How does a 5/10 year planning cycle react to 12 month / 18 month digital trends. Trends or bubble? Permanent or temporary change? Digital demands changes to infrastructure faster than the pace of infrastructure. Uber try and fix this with their suggested pick up and drop off points. That works well and co-ordinates the network, presumably based on data. People have always needed dropping off and picking up. In London there are still some of these lighted taxi signs outside hotels and posh blocks of flats. And parliament obvs. 16. Google Design released a guide to designing with machine learning. I say released a guide, I mean published a Medium post. Such is the way of things these days. There’s a lot of hyperbole talked about ML and this was the most sensible thing I’ve read about it so far. Called “human-centered machine learning” it’s simple, practical guidance. The bit about email attachments is lovely. If this is as successful and useful as Material Design, Google are on to a good thing here. Unusually Fast Company have written a good summary. Beware, it's one of those annoying web pages where everything moves around for five minutes before you can start reading. 17. The Parliament Digital Service has taken photographs of every single MP. For the first time ever. They photographed 90% of 650 MPs in just one day, shot against the same background as they were sworn in after the election. Each sitting averaging less than a minute. That’s impressive. They are all reusable under a Creative Commons licence. This is a simple but brilliant piece of work and exactly what parliament should be doing. 18. Imagine having a bookcase named after you. Hello Billy Likjedhal if you’re reading this. Naming is always fascinating. Ikea have a team of product namers, who assign names from a database of Swedish words. Bookcases are named after professional occupations (Expedit means shop keeper) or boys’ names (The bestselling Billy bookcase is named after IKEA employee Billy Likjedhal). 19. Good article on car UX. But, a long article about car UX that only mentions Tesla twice. Which I found odd. Makes me think no one is writing about this stuff openly. Which is maybe understandable, but I still find unusual. 20. Canyon is named Red Dot design team of the year. The Red Dot awards are credible and Canyon are doing good work not just in bike design, but service design too. Worth watching this team. 21. BBVA has 150 designers in 11 countries, all with different specialties, not that unusual but they are also training 1000 design ambassadors. That’s interesting. Led by Derek White and Rob Brown previously of Barclays superb digital and design team. 22. Procter & Gamble cut $140 Million from digital ad spend and saw no effect on sales. Lots and lots of reckons around this, obvs. Some context, P&G spent $2.4 billion on advertising last year, so $140M is around a 5% cut. I’m sure most large companies could stop $100M of lots of things and have no effect on sales. But still, there is a regular drumbeat of stories like this. And what I found most interesting is that the CFO explicitly called it out in the earnings statement. A shot across the bows, methinks.